Which Offensive Overwatch Heroes to Save the World? 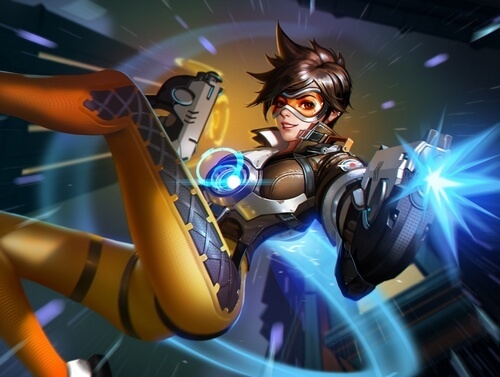 Home » Games » Which Offensive Overwatch Heroes to Save the World? It has been more than 1 year since the release date of the world’s famous team-based shooter Overwatch with millions of players to date. It is no doubt one of the most popular and also one of the best online shooters at the moment. Of course, new players are still coming to Overwatch, but the question is how to begin? Which Overwatch heroes should we main? Indeed, choosing a main Overwatch character isn’t an easy task. Although there are “only” 25 characters to date, each has its own unique skillset and play style to master. And so, if you are new players and you are in a headache, first, let’s take an overlook at all the offensive Overwatch heroes! As offense characters, we generally want to be “offensive”, including pressing to the objective, scouting, and harassing enemies. These offense Overwatch heroes often have high burst damage, high mobility, yet low health pool. As the results, they are suitable for players who like agile play style, dealing massive damage to enemies. One thing to note though: Overwatch is an objective-based game; therefore, having lots of kill doesn’t necessarily mean winning. 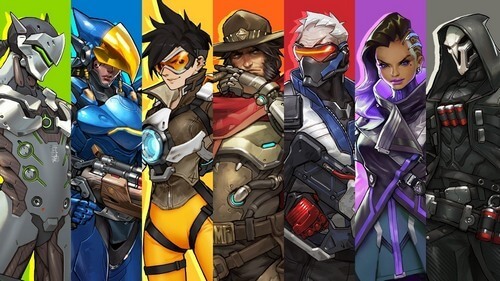 Offense characters: Doomfist, Genji, McCree, Pharah, Reaper, Soldier 76, Sombra, and Tracer. Defensive characters are in charge of protecting a particular area, setting up a choking point, or forming a frontier. These characters are generally good at fighting in long range. In other cases, they can set up turrets, dangerous traps, or even blocking walls. Characters in defense role are quite varied and they are seem to best-suit for players who prefer “scheming”, setting up hazardous plans, or simply sniping out of their enemies. 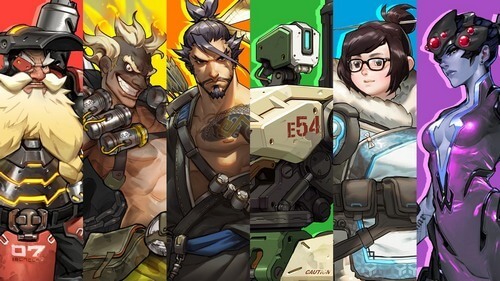 Defense characters: Bastion, Hanzo, Junkrat, Mei, Torbjorn, and Widowmaker. Tank generally has only one purpose:… tank! Soaking damage! Becoming a valiant vanguard at the frontline! They specialize in protecting ally, generating shields, and breaking enemies’ line. For players who are so used to tanking role with beefy health, bulky presence, these tankers will be their perfect candidates. 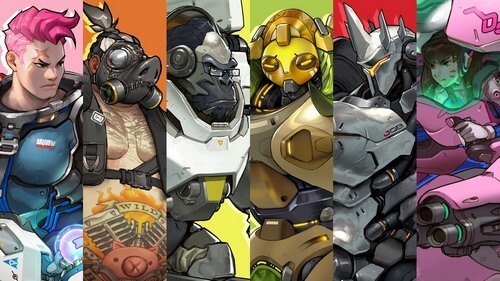 Tank characters: D.Va, Orisa, Reinhardt, Roadhog, Winston, and Zarya. Finally we have support characters: “hidden heroes” who always keep your life going and give you insane buffs. Without these support characters, probably many of us won’t see the light of day in most battles. These characters excel at healing, keeping ally alive, and buffing. That said, having a healer in our team is always nice, but it will be disaster if our healer gets messed up by enemy team. 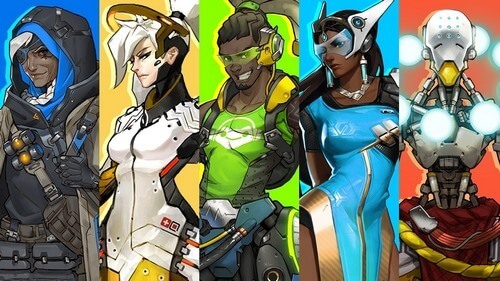 Support characters: Ana, Lucio, Mercy, Symmetra, and Zenyatta. So now that you are briefly introduced with all 4 Overwatch roles. Let’s get on to each character! Abilities: The Best Defense… (Passive), Hand Cannon, Rocket Punch, Rising Uppercut, Seismic Slam, Meteor Strike (Ultimate). 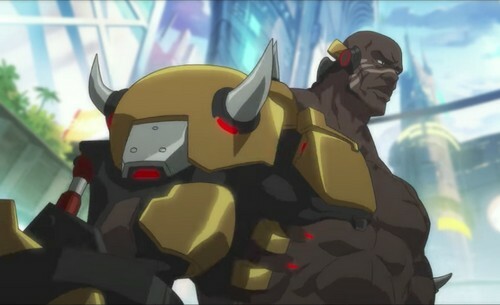 Doomfist is the latest addition to Overwatch characters roster, and first of all, he is a villain. At the time he was first released, he was like “cancer” (according to many players) as he can “One-punch Man” half of Overwatch roster. Here’s why: his Rocket Punch’s damage is insane which deals 49 – 100 damage, 98 – 250 damage if he hits a wall. So that mean, any character stands near a wall will more likely to be “one-shot”, except for high-health characters. Doomfist’s ability is all about offensive. He mostly seeks opportunity to quickly close the gap, and bursting enemy to death. He can send his enemy flying with his Rising Uppercut, followed by Hand Cannon and Seismic Slam. And with his Ultimate – Meteor Strike, Doomfist will jump into the air and bring oblivion to those who stand right at the center of his strike. For more Doomfist goodness, check out our guide to Overwatch characters Doomfist. Do you like Japanese “ninja/samurai” style? We do! And luckily we have Genji right for that spot. As a true ninja, Genji can do pretty much all movements you wish with Cyber-Agility: fast movement, wall climbing, and jumping in mid-air. He can throw Shuriken just like in most ninja films, movies, anime you see. He can quickly close the gap to his enemy with Swift Strike. He can Deflect enemy’s projectiles and redirect them back to his enemy. And on top of that he can cut enemy in half with Dragonblade (We mean kill, there is no such cut-in-half animation but it’s still cool). Playing as Genji is quite fun since he can move rather quickly and agile on the battlefield. As the results, he is to be really good at flanking and destroying the support line. His Swift Strike allows him to get to close quarter combat. When combo with his Shuriken and quick melee, he can deal significant amount of damage. Deflect is another “overpowered” part of Genji as he can reflect any projectiles, including Ultimate projectile (yes you read it right, reflecting Ultimate projectile). Finally we have Dragonblade which is an insane melee ability which lasts within 6 seconds; each hit from Dragonblade deals 120 damage. So as you may imagine, being cornered with Genji, especially if he has Dragonblade, is pretty much “dead-ish”. 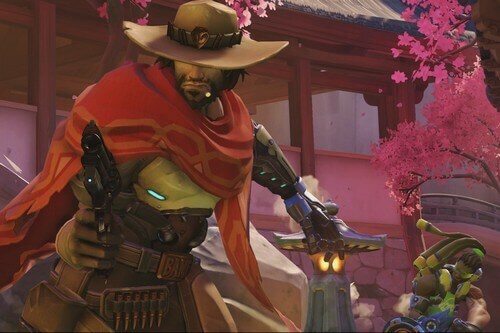 McCree is the true Western cowboy style and indeed a fearsome damage dealer. While this cowboy doesn’t have high health pool, his burst damage is insanely high, especially with his Deadeye Ultimate which can deal 100 or 250 damage/s within 6 seconds. When fighting against McCree in mid or close range, he will “greet” you with Flashbang which stuns you for about 0.7 sec. Then end your life with his Peacekeeper. In case of danger, he can dodge your fire with Combat Roll, immediately reload his Peacekeeper then continue giving you hell. So yeah… he’s a modern-techno cowboy, what’s not to love about him? During the heat of combat, if you are unaware of Pharah then probably “Justice rains from above” is the last thing you can hear. Unlike other characters, Pharah can fly thanks to her combat suit. And she can give you rocket hell from above with Rocket Launcher. Her play style is pretty much straight-forward, she soars into the air, and shoots down enemies with rockets or Barrage. However, her flight ability isn’t all that sweet since she is highly vulnerable due to slow movement while flying. Although she has Concussive Blast which can knock back enemies, it doesn’t mean she is 100% safe on the sky. That said, firing tons of rockets with Barrage is always fun when you can bring “justice to enemies from above”. Normally when we talk about reaper, we will imagine a black-rope skeleton with menacing scythe. But in this modern world, Reaper doesn’t need scythe. 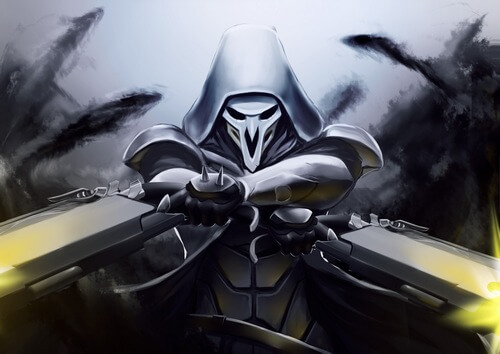 He needs something more badass: 2 shotguns (By the way, Reaper in Overwatch is actually a human, not an undead). 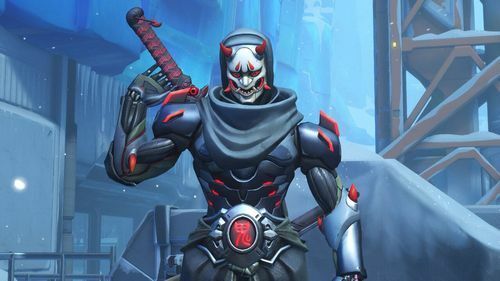 Besides Genji, Reaper is another deadly assassin who can approach enemy quickly, and suddenly. His Wraith Form allows him to quickly move around the battlefield without being hit. Also he can literally teleport with Shadow Step, surprises the enemy and reaps his life with the dual shotguns. If Reaper needs to reap multiple lives at once, he will dance around the battlefield with Death Blossom and gives enemies hell with 170 damage per second for 3 secs. If you’ve played Diablo 3, let’s imagine Reaper like a Demon Hunter who ravaging the field with Strafe. Of course as an offense character, Reaper doesn’t have high health pool but it is not advised to trade shots with him. His passive The Reaping can heal himself with each successful hit. 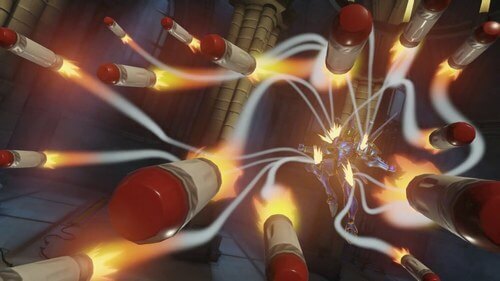 Therefore, it’s best to confront Reaper with high bursting damage rather than sustained damage. For people who don’t have any clue which Overwatch heroes to begin, Soldier 76 is a great candidate. 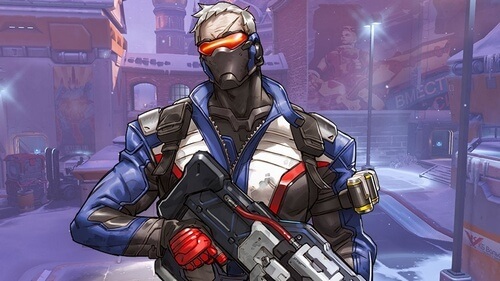 In overall, Soldier 76 is… a well-rounded soldier with decent ability set like firing rockets with Helix Rockets, “gotta-go-fast” with Sprint, healing himself and ally with Biotic Field, and finally lock and fire Tactical Visor. He does not excel at any particular field, but his all-rounder ability set allows him to easily fill in almost any teams. Of course, some people may not like this guy but for beginners, we always recommend trying this guy out to get used to the game. What happens when you bring hacking into Overwatch? The answer is Sombra – a professional hacker in Overwatch Universe. Unlike other offensive characters, Sombra is quite unconventional since dealing damage isn’t exactly what she excels at. What Sombra brings to the battlefield are chaos and disruptions to the enemy. Sombra’s trademark ability Hack allows her to “silence” the opponents for at least 6 seconds. Funny thing is this Hack ability can also hack first aid kits which causes them to spawn faster but provide no benefit to the enemy. As good as it sounds, Hack requires 0.7 s to cast and if Sombra gets hit during that casting time, Hack will be canceled. To make hacking easier, Sombra has other 3 tools which are: Stealth, Translocator, and Opportunist. Stealth allows Sombra to become invisible and move faster within 5 seconds. The buff will be dispelled if she attacks, uses abilities, or gets hit. Translocator puts a beacon on the ground which allows her to return to that spot instantly. 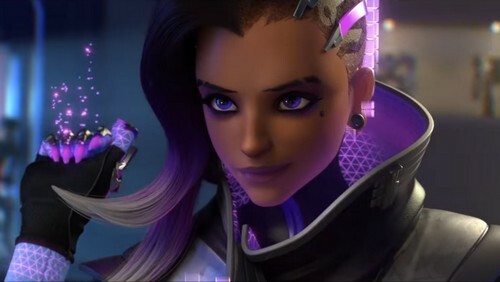 Both abilities make Sombra quite a sneaky, sneaky character and she can be extremely annoying to those who are unaware of her. The last one – Opportunist is quite interesting passive which allows Sombra to see enemies with less than 50% through walls. Finally for the most chaotic event, Sombra will send EMP bomb to enemy’s line which can destroy enemies’ shields and barriers, and also Hack them. So, you like hacking? Then it’s time to choose Sombra! Tracer is probably the merriest character and one of the most agile characters in Overwatch. In a 1vs1 fight, Tracer is probably the most annoying character to deal with since it’s extremely hard to follow her movement. Her Blink ability allows her to teleport in short distance. And the best part is she has 3 Blink charges, each charge has 3 seconds cooldown. If that’s not annoying enough, she also has Recall ability which can bring her back to time, returning her health, ammo, and position of few seconds ago. If you have played DotA 2, imagine it’s like Weaver’s Ultimate. And finally at the most expected moment, Tracer’s Ultimate – Pulse Bomb will quickly “give” you 400 damage. As you can see from her abilities, Tracer is extremely good at annoying the opponents. Therefore even though she has low health pool, she will keep annoying you as long as you can’t burst her down quickly. And that’s it folk! More Overwatch heroes will be updated in this list soon! Thank you and stay tune for more news in the future! Overwatch Beginner Guide: The Start to Become Overwatch Pro! Pingback: Overwatch Beginner Guide: How to Become Overwatch Pro?